The Fall collections are arriving in stores this month, and while it may be too hot to wear fall fashion, there are plenty of other ways to experiment with the upcoming trends. 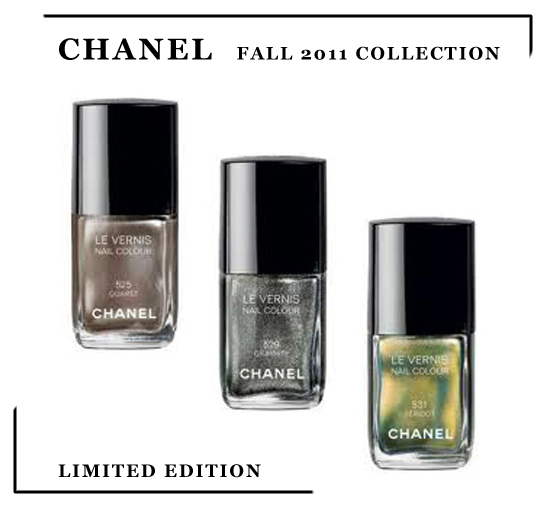 In stores this week, the CHANEL limited edition nail polish collection includes three fabulous colors inspired by different metals and stones: quartz, graphite, and peridot. Quartz's softness is perfect for everyday while graphite is more flashy and fun. Peridot offers a gorgeous spectrum of color from gold to green. No matter which one you choose, you can't go wrong!